THIS PACKAGE INCLUDES ALL ITEMS TO BUILD A TOWER 5' WIDE BY 7' LONG BY 20' HIGH. OSHA REQUIRES YOU TO TIE OFF TO THE BUILDING AT A HEIGHT OF 4 x THE WIDTH FOR YOUR PLATFORM HEIGHT. BASICALLY AT 20' IN HEIGHT THE SCAFFOLDING MUST BE TIED TO THE BUILDING. 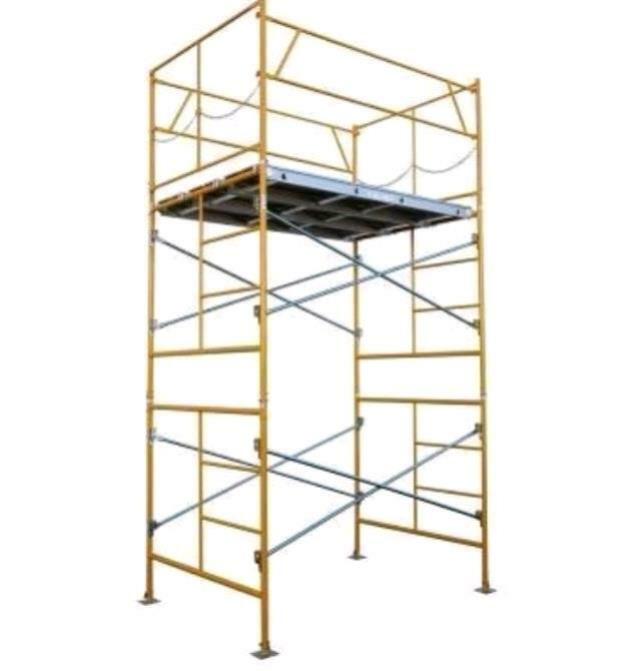 * Please call us with any questions about our scaffold 20 foot tower rentals in Burnsville MN, Rosemount MN, Apple Valley, Minneapolis, St Paul, Twin Cities, South Metro,and Dakota County.